Over the last few years there’s been significant buzz in the travel industry around the rise of trendy Lisbon. The city, made famous for its storied Portuguese discoverers, has plenty of history to fascinate first–time visitors, but it’s the city’s recently realized innovations that have globetrotters adding it to the top of their to–do lists. Visit today and you’ll find Lisbon is flush full of exciting energy: iconic hotels have been treated to jaw-dropping makeovers, hipster craft breweries are all the rage, Time Out launched an out-of-this-world food market, and Portugal’s most celebrated chef dreamed up a magical multi-restaurant eatery. In preparation for my luxurious weekend in Lisbon, I researched the destination months in advance using the newest edition of Eyewitness Travel Lisbon (DK Publishing, 2017). The informative guide includes detailed itineraries and “don’t miss” destination highlights at a glance, illustrated cutaway 3-D drawings of important sights, floor plans for major attractions such as cathedrals and museums, area maps marked with popular sights, top hotel and restaurant listings, as well as a slew of info on niche interests such as the best spots to shop, wines of Portugal, and the flavours of Lisbon so you’re up to speed on how to eat like a local. Each day I stored Eyewitness Travel Lisbon in my camera bag – it was an invaluable resource when I wanted a more in–depth understanding of the city’s history and architectural icons, and especially when trying to determine what local dishes to order at a restaurant and what wine to sample when bar hopping around town. 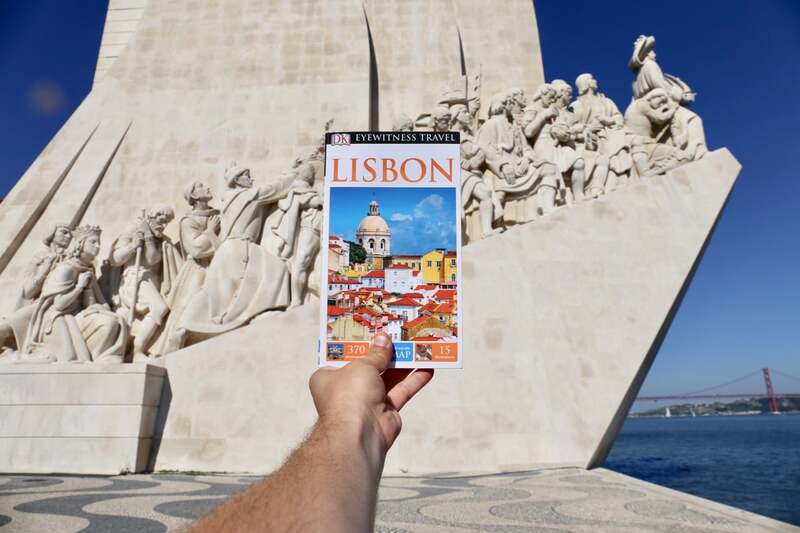 Eyewitness Travel Lisbon’s detailed city and subway maps also made exploring outside the city centre on the solo a stress-free breeze. If you’re looking to enjoy a posh pad at a petite luxury hotel, check in at Portugal Boutique Hotel, perfectly located in the heart of Lisbon’s pedestrian-friendly downtown. 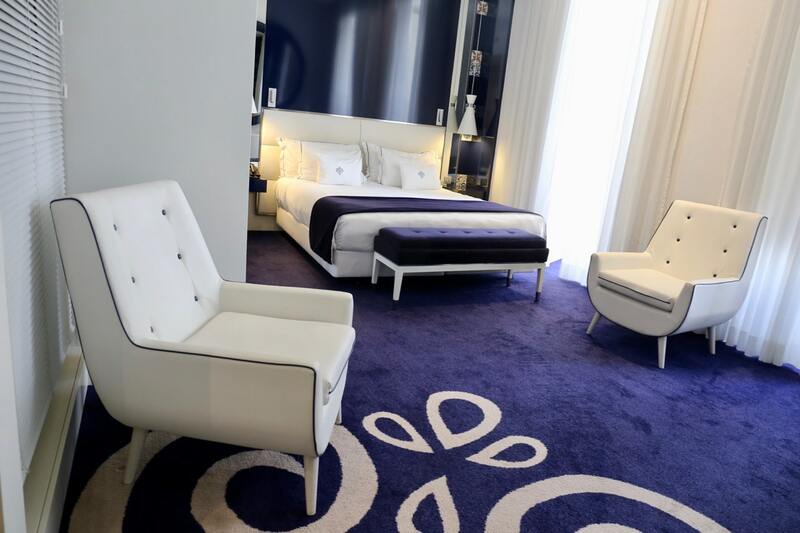 The hotel’s 53 rooms and suites are decked out in blue and white, designed by award-winning interior decorator Cristina Santos Silva. Each of the hotel’s spacious suites features a pillow menu, plush king-sized bed, luxurious living room, and bathroom featuring oversized soaker tub and separate rain shower. Buffet breakfasts are served each morning at the chic Jony Rules Bar, while lunch is best enjoyed on the hotel’s sunny al fresco patio while feasting on fresh fish from Golden Sushi. For a romantic dinner, skip across the street to the hotel’s sister property and enjoy a table-side flambé feast at the always elegant Varanda Restaurant. After spending hours on your feet exploring Lisbon’s parks, shops, and museums, enjoy a slice of R&R at Tivoli Avenida Liberdade’s Anantara Spa. This relaxing urban oasis offers a pathway to holistic wellbeing where healing sensuality combines with ancient Far–Eastern therapies and indigenous Portuguese rituals. 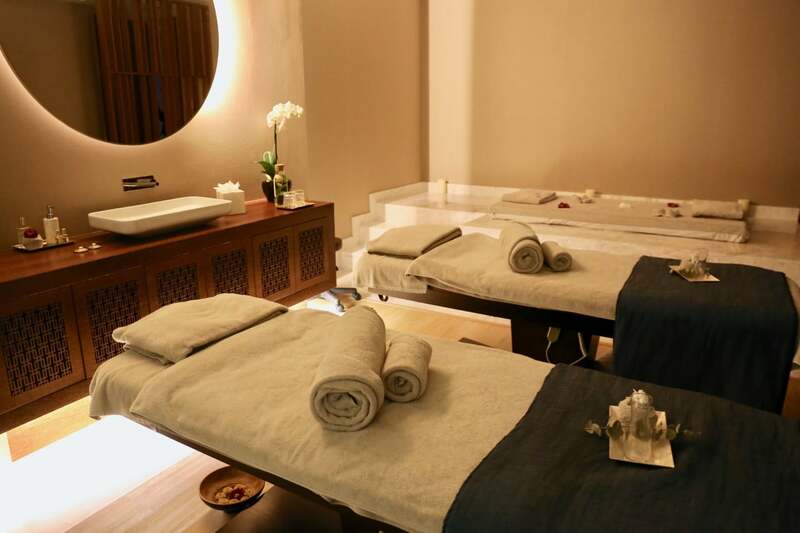 Anantara Spa features six treatment rooms, sauna, fitness centre, and well-appointed change rooms. The spa’s friendly staff specialize in Thai, Indonesian, and Indian body work, offering customizable massage treatments paired with sweet–smelling essential oils. The craft beer scene in Portugal is catching on quickly and Lisbon’s fave brewery of the moment is Dois Corvos. 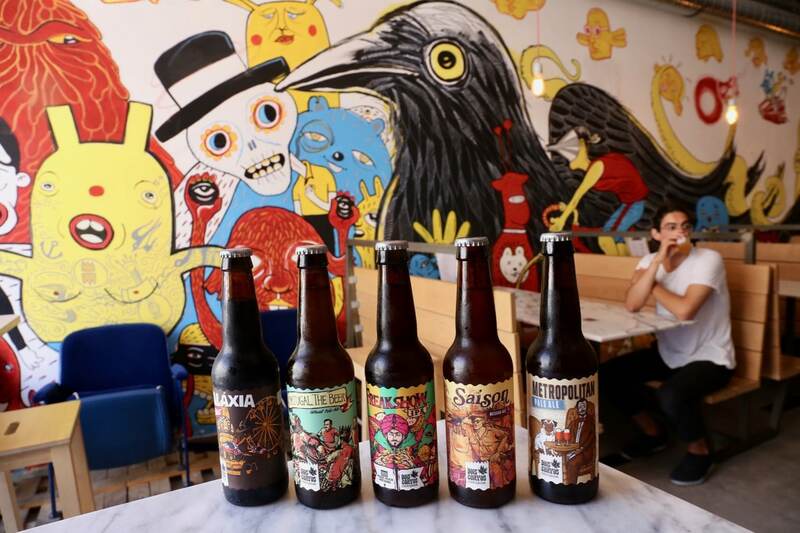 The family-owned brewery produces distinctive small-batch beers in the city’s up and coming Marvila neighbourhood. Order a flight of fresh brews straight from the tap and grab a seat in the taproom’s whimsical graffiti adorned space. 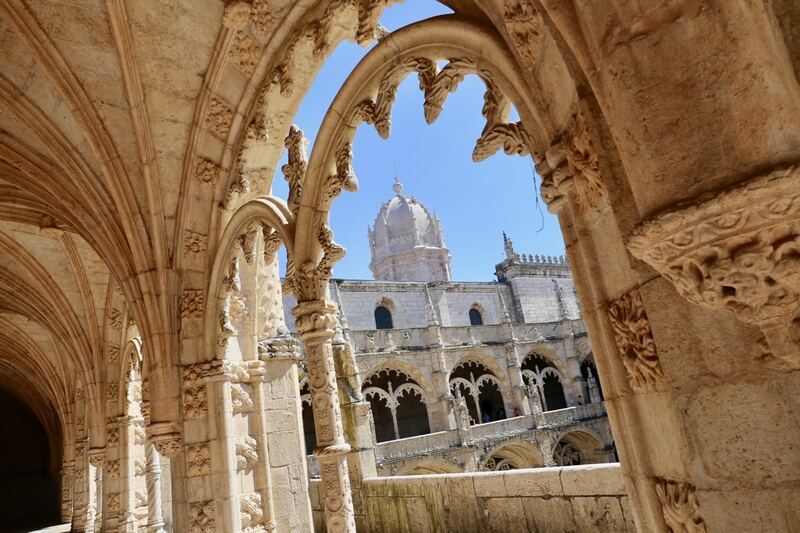 Without a doubt, Lisbon’s most visited attraction is the awe-inspiring Jeronimos Monastery. Commissioned by Manual I in 1501, after Casco de Gama’s return from his historic voyage, it was financed largely by “pepper money,” a tax levied on spices, precious stones and gold. Give yourself a good hour here and be sure not to miss the 18th-century azulejos on the walls of the Refectory, the architectural eye-candy of the meticulously crafted Cloister, and the spectacular vaulted ceiling in the Church of Santa Maria. 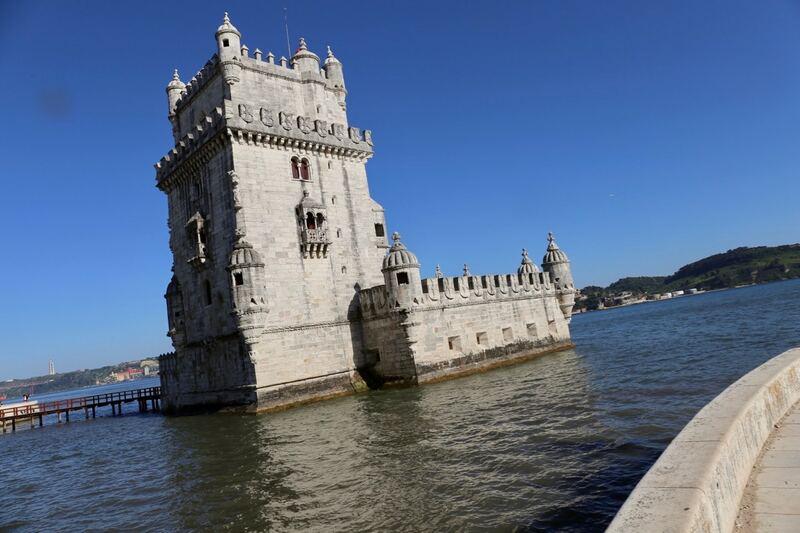 Located a stone‘s throw down the street from the monastery, you’ll find Belem Tower, Lisbon’s most recognizable icon. The tower was originally built as a fortress between 1514-20 and sits surrounded by the calm waters of the Tagus River. The starting point for the navigators who set out to discover the trade routes, this Manueline gem became an enduring symbol of Portugal’s great era of discovery and expansion. Design fans will appreciate Belem Tower’s ornate exterior featuring openwork balconies, Moorish-style watchtowers, and distinctive battlements in the shape of shields. If you’re the type of tourist who enjoys eating your way through a destination, book yourself an authentic food tour with in-the-know experts at Your Lisbon. 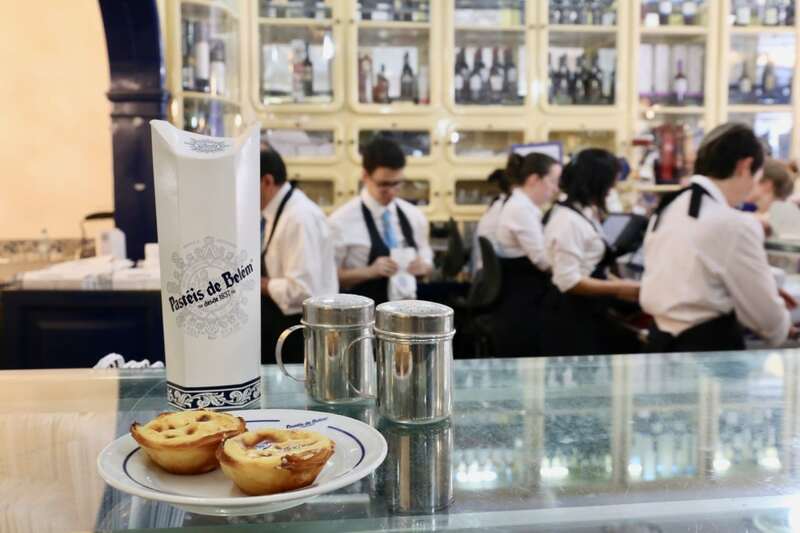 Spend a delicious afternoon tasting your way through Lisbon’s most celebrated sips and nibbles: sample the city’s famous custard tart, fork through the world’s best chocolate cake, and finish it all off with swig of cherry liqueur, much loved by Anthony Bourdain. 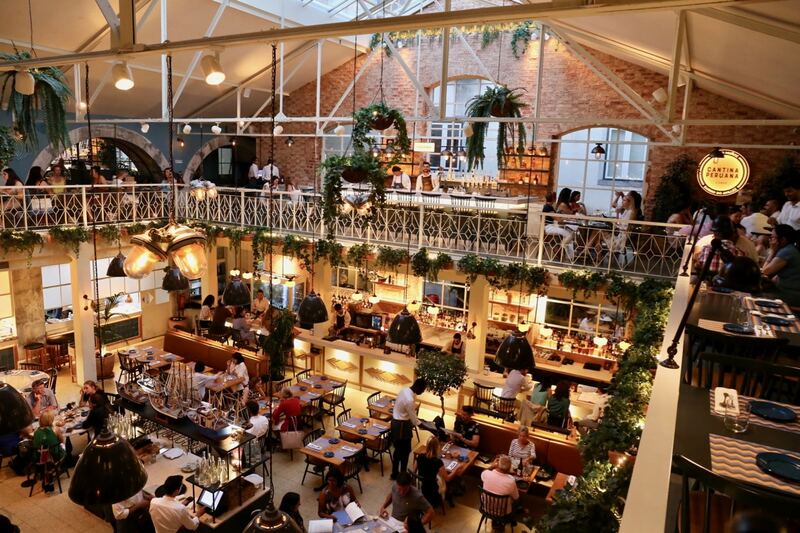 Food fans looking to enjoy an unforgettable dining experience in Lisbon should be sure to book an evening at Chef Jose Avillez’s magical multi-restaurant concept Barrio do Avillez. Located in the city’s Chiado neighbourhood, the massive,awe-inspiring venue is the celebrated chef’s most sensational space. At Bario do Avillez you’ll find a Mercearia (gourmet deli) stocked with Portuguese delicacies, a wonderful Taberna (tavern) for those keen to share hearty tapas, a pretty Pateo (specializing in serious seafood), and Cantina Peruana (Chef Diego Munoz’s take on contemporary Peruvian cuisine). Avillez’s inspiring culinary complex is open every day from noon to midnight. Drop in during a mid-afternoon heat wave, and you’ll avoid the lunch and dinner crowds. I’ve travelled the world extensively and have yet to find a more spectacular aquarium experience than at the Lisbon Oceanarium. Centrepiece for Expo 98 and now the star attraction at Parque das Nacoes, Lisbon’s oceanarium was designed by American architect Peter Chermayeff and stands perched on stilts on the end of a pier. It’s the second largest aquarium in the world and plays home to an impressive array of species. What makes Lisbon’s aquarium stand out? Visitors begin their tour by exploring each of the world’s oceans above water: you’ll find a family of otters in the Pacific, playful puffins in the Atlantic, colourful coral in the Indian, and a parade of penguins in the Antarctic. 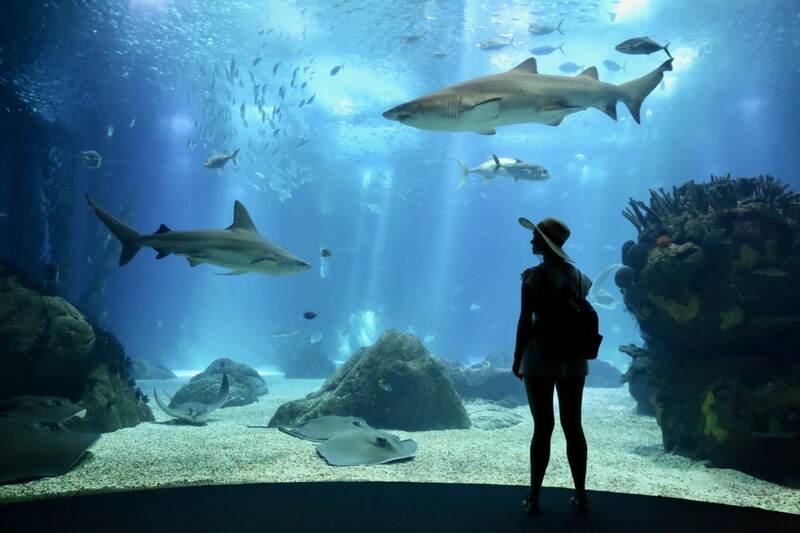 The main attraction for most visitors is the massive tank representing the open ocean, featuring a dazzling variety of fish, sharks, stingrays, barracudas, and bream. 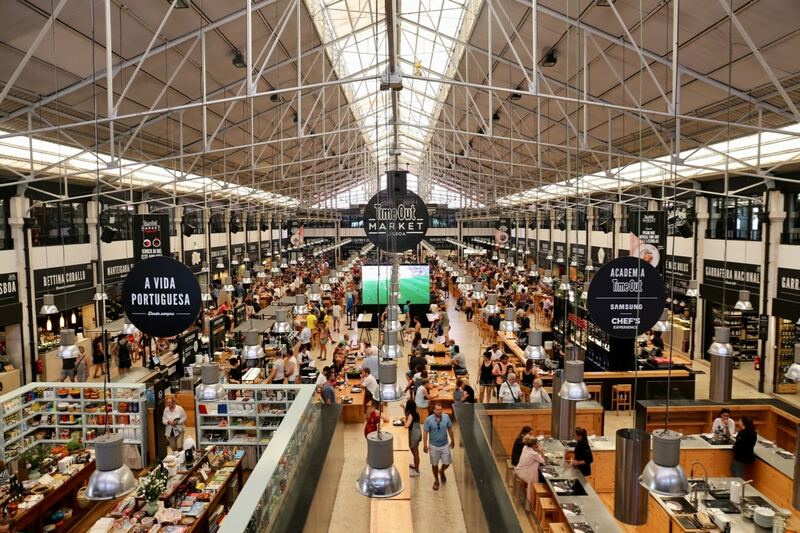 Lisbon’s Time Out Market launched in 2014 and is located in the city’s Cais do Sodreneighbourhood. The market features 24 restaurants, 8 bars, a dozen shops, high-end music venue, and the city’s longest-running farmers market where vendors offer up fresh meat, fish, fruit, and flowers. Sintra’s stunning setting on the slopes of the Sierra, among quiet woodlands and freshwater springs, made it a favourite summer retreat for the kings and queens of Portugal. Today the town draws thousands of visitors each year, who typically visit on a day trip from nearby Lisbon, conveniently located less than an hour‘s drive away. Architecture addicts and those who have a penchant for palaces find happiness here. 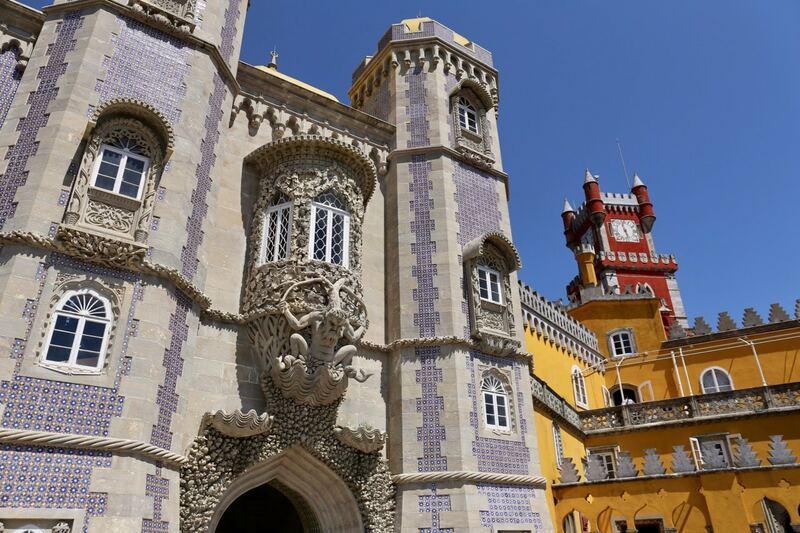 If you’re just in Sintra for a day, enjoy a tour featuring stops at the town’s crown jewel, Palacio Nacional da Pena; Quinta da Regaleira, the estate of a quirky millionaire; and top it all off with a sumptuous feast on a verdant veranda at Tivoli Palacio de Seteais.